Just accidentally changed tracks via the swipe again: To get from the Now Playing screen to the current artist's other albums, it's swipe down then swipe right, and it's easy to get these confused when swiping quickly. I just found that there seems to be an additional fade-in/fade-out associated with Bluetooth headphones. Very noticeable on a track such as Linkin Park's Papercut. I turned off gapless preload, and it seems to have fixed the problem. I don't know why some people have such a bone for swiping. It's messy and doesn't work well. And it's confusing, now that there are several other places to swipe, such as swiping right on a track list to go to the album list. I paid for this media player, and it's the best one I know of for Android. I would gladly contribute to a Patreon project or some other method of continuing revenue for the developer. I support the developer of my favorite podcast app this way. It's ridiculous to remove usability features with no option to get them back. I can understand that if you like swiping, it may be hard to understand why somebody else wouldn't. And I understand that the developer can't predict everyone's preference. But this media player isn't just another free app to me; I paid for it and would love the opportunity to continue to support the developer financially, and I would even support a "bounty" model for users to pay (vote with their dollars) to get certain features/bugs moved up in priority. I'd pay to fix this one. Swiping isn't part of "the latest technical features". Removing a critical usability feature isn't a step forward. @andrewilley, I always have crossfade disabled. Gapless preload was set to 3100ms. I just set it to None and will test this for a bit. I thought the preload just cached the first few seconds of the next track; is it meant to skip the last few seconds? When I listen to a song on repeat, it's scrobbled correctly each time it's played. I have had a LOT of trouble with this in the past, with other scrobbling apps and with alpha/beta versions of Poweramp. But with the final version of v2 and the production versions of v3 I have not had this issue. I hate to be "that guy", but I don't have this issue with v3. I did have scrobbling issues with the pre-release versions I tested, however, which is one reason I always reverted from the pre-release versions back to v2 until v3 came out. With v3, scrobbling has worked perfectly for me since it came out. Details: I have a Galaxy Note9 with Android 8.1.0. SLS v1.5.7 I have all battery conservation settings disabled for SLS. 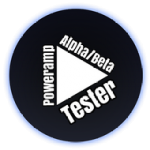 Poweramp v3-build-820-play (Full Version) - It just updated to the new Play version. Scrobbling in the previous v3 release version worked just fine for me too. "Scrobble via Simple Last.fm" is enabled If you want to compare against any of my other settings, let me know. I've noticed that on some songs (not all), it will not play the last ~4 seconds and then skip to the next song. But I've had this happen in the middle of an album too, not just at the end. I have also noticed that the fade-in settings are not honored in v3. I have a post about that here: This was present in the Alpha: And it was present in v2: Best I can tell, little has been done to fix the issues with fade-in. Personally, I can't think of a reason why anyone would want fade-in at the beginning of a track.